Karnataka High Court has issued some important directives with regard to constitution of Medical Board to carry out age determination of Juveniles in conflict with Law. Justice K.N.Phaneendra has also asked the state to inform all the Doctors in the State that they shall not individually conduct any age determination examination of any Juvenile in conflict with law referred to them for age determination, unless they are declared as Medical Board. The Directives were issued by the Court while setting aside a lower court order by observing that it has committed a serious error in relying upon the medical evidence issued by a non-competent person as the rule contemplate that the competency of giving certificate of age vests with the Medical Board. The State of Karnataka through its Medical Department shall inform all the District Surgeons in turn to inform all the Doctors in the State that they shall not individually conduct any age determination examination of any Juvenile in conflict with law referred to them for age determination, unless they are declared as Medical Board. In turn, if any Juvenile is referred to them for age determination, they shall bring it to the 42 notice of the District Surgeon or to the concerned authorities, who shall constitute the Medical Board and then refer the Juvenile in conflict with law to the medical Board for its report. The Director General of Police to issue necessary circulars to all the Investigating Officers, who are empowered to investigate the offences under the POCSO Act to strictly adhere to Rule 12 of the JJ (CPC) Rules, 2007 and they shall make all their efforts to collect the Matriculation or equivalent certificates or the date of birth certificate from the school (other than the play school) first attended or birth certificate given by the Corporation or Municipal or panchayaths, and in the absence of such material, they shall refer the Juvenile in conflict with law to the Medical Board for age determination or if the Investigating Officers are of the opinion that the documents noted above though available, they are manipulated or they are not reliable, then only they can refer the Juvenile to the Medical Board for age determination. The Director General of Police is further directed to communicate this order by circulating the copy of this order and also the judgment of the Hon'ble Apex Court reported in Shah Nawaz [2011(13)SCC 751] and Kulai Ibrahim @ Ibrahim [2014 (12) SC 332] (cited supra) to all the Investigating Officers to facilitate them to follow the directions issued by the Courts in their letter and spirit in dealing with the age determination of the Juvenile in conflict with law. It is also hereby directed that all the Special Judges notified under the POCSO Act and the Members of the Juvenile Justice Board, who are entrusted with the work of determining the age of the Juvenile in conflict with law to deal with the matter first in accordance with Rule 12 of the JJ (CPC) Rules, 2007 and only thereafter the competent authority under Section 34 of the POCSO Act shall give its finding with regard to the documents produced before the Court as referred under Rule 12 of JJ (CPC) Rules, 2007, whether those documents are reliable or not and if they are reliable, then give its finding with regard to the credibility and reliability of those documents, and if for any reason, the Court comes to the conclusion that those documents are not reliable and those documents are manipulated or tampered, then only it can rely upon the medical evidence or if the Court has got any doubt with regard to the documents, then only it can refer the Juvenile in conflict with law to the Medical Board for his age determination and thereafter before recording the judgment, at any stage, the Court can give a finding with regard to the age of the Juvenile in conflict with law. If the Special Court comes to the conclusion that the Juvenile in conflict with law is aged less than 18 years, then he shall be referred to Juvenile Justice Board for all further proceedings as per the provisions of the POCSO Act. 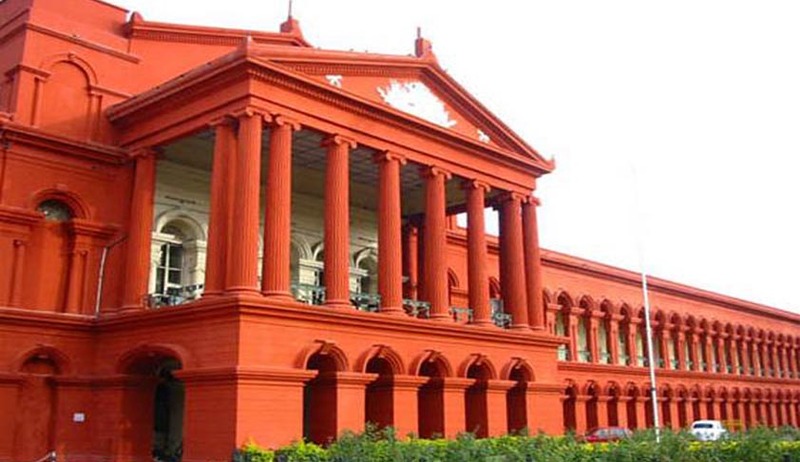 It is also necessary to direct the Karnataka State Judicial Academy and Karnataka Legal Services Authorities to conduct appropriate Legal Awareness Programs to all stake-holders, particularly the Chairmen of Juvenile Justice Board and its Members, Presiding Officers of Special Courts under the POCSO Act, Police Officers and Doctors, who are the stakeholders entrusted with the task of age determination of the Juvenile in conflict with law in any manner and appraise and enlighten them with regard to the provisions of the JJ (CPC) Act,2000, JJ (CPC) Rules, 2007 and also POCSO Act, in order to strictly adhere to the legal requirements to deal with the Juvenile in conflict with law. In the above said circumstances, there is no reason to sustain the order of the learned Special Judge. Hence, the same is liable to be set aside. 36. In view of above, I proceed to pass the following : ORDER The petition is allowed. The order passed by the learned Sessions Judge (Special Judge), Bidar, in Special Case No.4/2015 dated 22.04.2015 is hereby set aside. Consequently, the matter is remitted to the learned Special Judge for fresh consideration of the age of the accused before him after strictly following Rule 12 of the J.J (CPC) Rules, 2007 in its letter and spirit, and thereafter pass appropriate orders bearing in mind the guidelines laid down in the decisions of the Hon'ble Apex Court reported in the case of Shah Nawaz [2011(13)SCC 751] and Kulai Ibrahim @ Ibrahim [2014 (12) SC 332] (cited supra) and also in the body of this order. The Registry is hereby directed to send a copy of this order to the Chief Secretary of the State of Karnataka, Secretary to Department of Medical Education, Secretary to Health and Family Welfare Department of State of Karnataka, and also to the Director General of Police of State, for proper instructions to the concerned and needful action as per the directions issued by this Court at Paragraphs-28 to 33 of this order. The Registry is also directed to send a copy of this order to the Member Secretary to the Karnataka State Legal Services Authority and to the Director of Karnataka Judicial Academy for kind information and appropriate action as narrated in the body of this order.